Over the last few months, we have been documenting the steady stream of (reactive) proposed counter-terrorism legislation in various countries that are chipping away at the freedoms of the respective citizens. 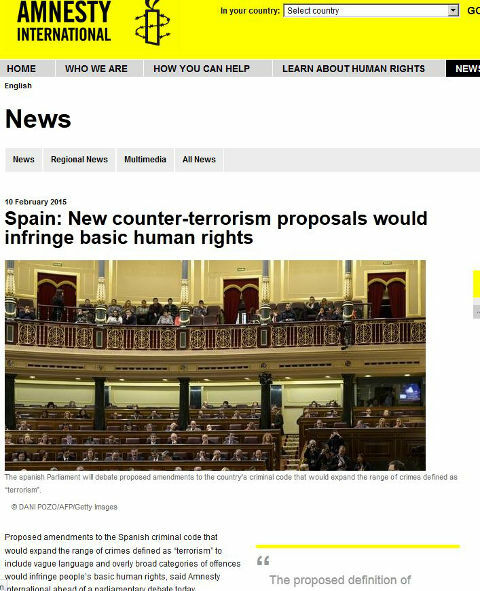 The most recent example comes from the European Union where Spain is proposing some tough new laws that have caught the attention of Amnesty International, who have issued a warning. If this counter-terrorism law makes it through the country’s parliament Spaniards may have to watch what they say, or who they (unknowingly) associate with, countries they may have traveled to or how they use technology. Their (innocent) actions could still land them in trouble with the law. These types of draconian laws raise questions for the populations where they have to decide how they wish to live their lives. “The proposed definition of terrorism includes so many crimes that it is rendered virtually meaningless. The parliament should reject any proposals that would violate basic rights,” said Julia Hall, Amnesty International’s expert on counter-terrorism and human rights.